We are here to serve you the best way possible. Erie, PA 16503. A-1 Automotive. Model: HONDA CIVIC. HONDA CIVIC (SEE ALSO DELSOL & CRX) 96-00 gray. Also fits Part Grade Abbreviations. cc = Credit Card size units. C = Greater than 200k miles. B = Greater than 60k miles and less than or equal to 200k miles but greater than 15k miles per year. VENUE WILL TAKE PLACE IN BROWARD COUNTY, FLORIDA. This item was removed from 2000 Honda Civic 2 door 1.6L motor automatic transmission. _gsrx_vers_841 (GS 7.0.16 (841)). -IF A ITEM HAS BEEN ALTERED OF ITS PHYSICAL AND FUNCTIONAL FORM IN ANY WAY, IT VOIDS TAE AUTHENTICITY. 1996-2000 Honda Civic Glove Box Latch in Good working condition TESTED GRAY. 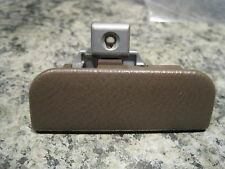 Brown glove box latch for 1996-2000 Honda civics. VEHICLE REMOVED FROM: 1997 Honda Civic May Fit other years, makes and models. CONDITION: This part is pre-owned with no major flaws. Has general wear from use including scratches and fading. Last pic is before the part was removed. This is aglove boxremoved from a 00 honda civic. It is light gray and is in good condition. SHOULD fit 96-00 Honda Civic. Honda Parts Unlimited. 1996 - 2000 Honda Civic Dark GRAY Glove Box Lock Latch NO Key included in excellent functioning condition (includes installation screws). Donor vehicle was a 1997 Honda Civic Coupe (will fit coupe of 4-dr). 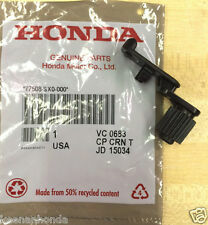 1996 - 2000 Honda Civic BROWN (Darker than pics appear) Glove Box Lock Latch NO Key included in excellent functioning condition (includes installation screws). Donor vehicle was a 2000 Honda Civic LX with Brown Interior. Off a 1998 Honda Civic Ex Coupe with automatic transmission. 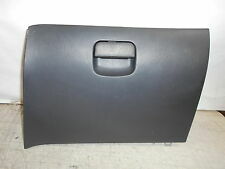 Honda Civic 1996-2000 glove box- charcoal/dark Gray. ITEM REMOVED FROM A 1999 HONDA CIVIC LIGHT GRAY COLOR, PROPERLY FUNCTIONING. 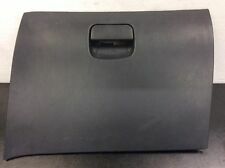 Honda Civic 1996-2000 glove box- Gray. Off a 1997 Honda Civic Ex Coupe with manual transmission. Off a 2000 Honda Civic Ex coupe with automatic transmission. Off a 1996 Honda Civic Ex Coupe with manual transmission. Part: glove box latch. This may fit other years/models as well. 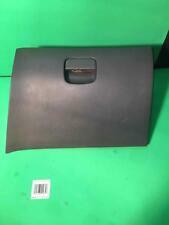 1996 1997 1998 1999 2000 HONDA CIVIC GLOVE BOX LOCK IT WORKS GREAT THE COLOR IS A BROWN. Off a 1999 Honda Civic Ex 4 door Sedan with automatic transmission. UP FOR SALE IS 96-00 HONDA CIVIC SEDAN/COUPE GLOVEBOX LATCH WITH HINGES OEM LIGHT GRAY. Any attempt to disassemble the part will void the warranty. Off a 2000 Honda Civic. You will receive Exactly what the photos show and title states, Nothing more, Nothing less. Off a 1998 Honda Civic Ex Coupe with automatic transmission. We want you to be 100% happy with your order. What's For Sale : Good used 1996-2000 Honda Civic glove box handle. Tan color (picture to show color difference between tan and gray). OEM factory part. Condition: Great shape, clean, look at close-up pics. 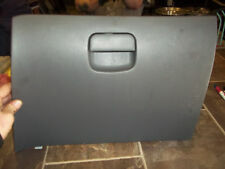 1996 1997 1998 1999 2000 HONDA CIVIC GLOVE BOX LOCK IT WORKS GREAT THE COLOR IS A LIGHT GRAY. Life is life and issues arise; people make mistakes. Off a 2000 Honda Civic Ex coupe with manual transmission. ITEM REMOVED FROM A 1999 HONDA CIVICTAUPE BROWN COLOR, PROPERLY FUNCTIONING LATCH. GLOVE BOX NOT INCLUDED. This is aglove boxremoved from a 00 honda civic. It is light gray and is in good condition. It is missing the latch as pictured. SHOULD fit 96-00 Honda Civic. Light gray / No latch / Light gray. a pretty image. Up for sale is a glove box latch pulled from a 1996-2000 Honda Civic brown in color.